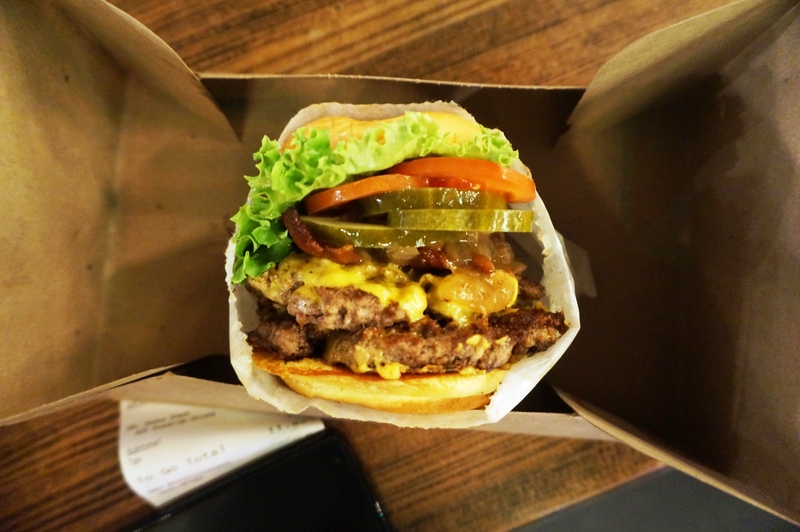 No trip to NYC is complete without shake shack. Just as I was leaving I stopped of to make it my last meal in the great city they’ve released a new smoke shack burger as well as caramelised onion and bacon bits as a topping. I struggled with my inner fat self the whole way up to the counter, and for those of you who’ve been know that is a fairly long time. I decided the best thing to do would be to combine everything; a double patty mutant shack; a double smoke shack style with lettuce, tomato, pickles and the caramelised onions and bacon bits. It came out later in all it’s glory and was fresh and delicious, there wasn’t enough shack sauce so I added a little ketchup to compliment. Shake Shack is 2-1 on my 3 trips, and only continues to improve. It’s not overly fast but it hits the spot when the cravings hit. 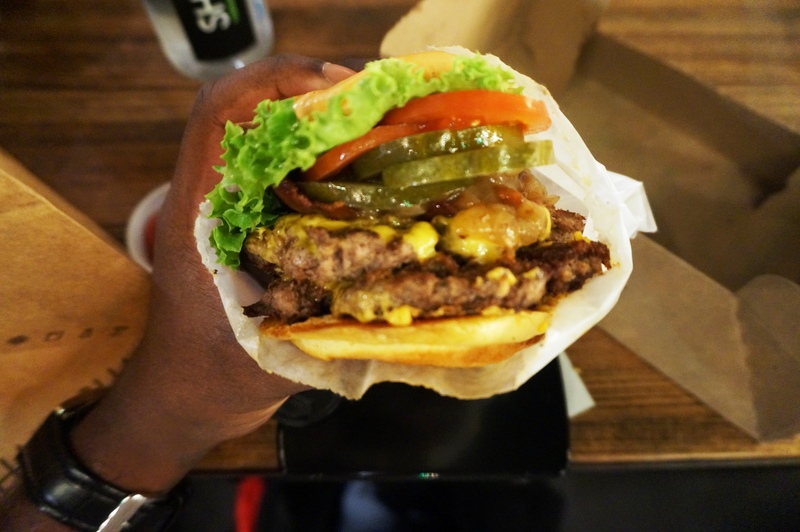 Posted on October 28, 2015 October 29, 2015 by AdrielPosted in New York, SteakLESS, United StatesTagged Burger, New York City, Shake Shack.